Google is pulling out all stops trying to give out free content. They just announced free calls within US and Canada from Gmail this week. 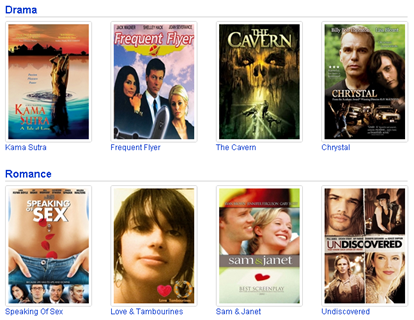 Now they have added over 400 full length movies for us to watch free on Youtube. YouTube had added a few free movies and TV shows last year. Before you get too excited, you are not going to find brand new movies but there is a wider selection of classics and movies now. It is split into variety of categories and I was thrilled to find a bunch of Jackie Chan movies in action & adventure. Plus, there is a good selection of documentaries and even some Bollywood titles. Thanks to Google, you can enjoy a nice collection of free movies if you are ever wondering what to do with the free time.